As the New Year is approaching, we’ll wave goodbye to the year of 2017 and greet the joyful New Year of 2018. 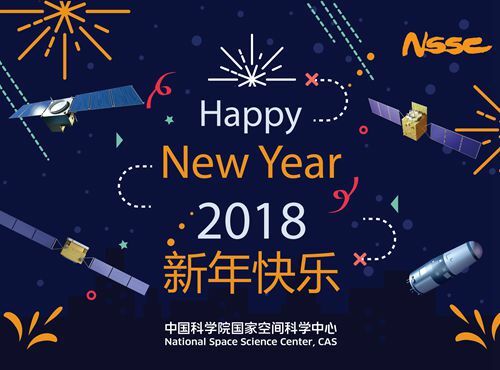 At this occasion of bidding farewell to the old year and welcoming the new, on behalf of the board of directors, I am delighted to extend the best wishes to the staff of National Space Science Centers. The year of 2017 is a remarkable year for NSSC. In President XI’s New Year Speech of 2017, he touched upon many scientific and technological achievements made in 2016, including that the "WuKong" dark matter detection satellite (DAMPE) was under operation in the orbit for a year and that the "Mozi" quantum satellite (QUESS) was launched into space. He mentioned that all those efforts make us feel a sense of achievement, which is a manifesto of the care from the state leaders in the development of space science in China, and also reflects the importance of space science in building a world power of science and technology. The year of 2017 is a conjuncture year to say goodbye to year 12th Five Year Plan and welcome the 13th Five Year Plan. In June, 2017, the Hard X-ray Modulation Telescope (HXMT) was lunched and almost in the same time the long-expected first scientific output of the space science satellite series was published in Science as the cover article: Satellite-based entanglement distribution over 1200 kilometers. In August, the QUESS mission realized the global quantum key distribution and the Earth Star quantum teleportation, successfully completing all the expected scientific goals. The two achievements were published online in Nature. At the end of the year, the DAMPE mission released the first batch of major scientific achievements: using the data collected by DAMPE in orbit for 530 days, researchers obtained the most accurate high energy cosmic ray electron spectrum by far, which is published on November 30 in Nature online. In the future, the missions selected for the 13th Five Year Plan is unfolding smoothly: SMILE mission has been in the mission engineering development phase, while EP、ASO-S、WCOM、MIT、and gravitational wave detection project have entered intensive mission study phase. In other major space missions in China, NSSC has also played an important role. The flight model of microwave scatterometer developed by NSSC for the Sino-French SVOM mission has completed. The microwave hygrometer, GNOS occultation detector, space environment monitor and ionospheric photometer developed by NSSC for the FY-3D Satellite are functioning well in orbit. In the field of frontier basic research, a couple of substantial achievements are highlighted. Using the continuous and high quality data of Meridian Project and Double Star Mission, the “geospatial numerical weather prediction modeling research” was reviewed as excellent; The meridian project (II) was selected as major national science and technology infrastructure construction projects in the 13th Five Year Plan; New progress has been achieved in the research direction of communication and interaction of solar storms, tracking Alfven wave in radial evolution in solar storm, equatorial plasma bubbles etc, which were published in ApL, ApJL, JGR. The study of heliospheric current sheet was selected as the feature article of JGR. International cooperation plays an indispensible role in the planning and development of Space Science missions. NSSC and ESA signed in London an agreement on SMILE mission which is a new milestone of China-Europe Space Science cooperation. The first phase construction of China-Brazil Joint Laboratory for Space Weather was completed. I addition, China and Brazil will continue the cooperation of joint monitoring of space environment and data collection from space science satellites. The International Meridian Circle Program is about to be launched with the support of Ministry of Science and Technology. 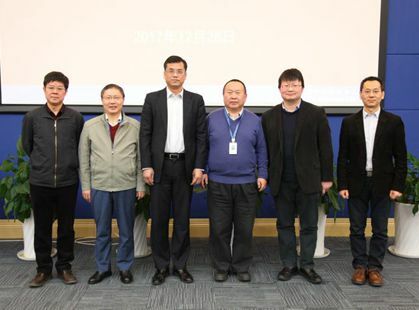 In the International Forum of National Laboratory for Space Science: Opportunities and Lessons Learned, the officials or former officials of world known space agencies gave constructive suggestions to the strategies of building the National Laboratory for Space Science in China. Facing country’s urgent need to attain the significant breakthroughs in space science, we will set out again and make arduous efforts to accelerate the development of space science. We should not forget why we start to develop space science and strive to build a new monument of space exploration. With the arrival of the New Year, I’m delighted to send the New Year greetings to all staff and graduate students of NSSC, and family members who are supporting our work. I wish you all happiness and health in the New Year!